My last several posts have focused on endangered–some would say obsolete–audio formats: open reel tape, compact cassette, DAT, and Minidisc. In this installment, we travel back to the dawn of recorded sound and the 20th Century to investigate some of the earliest commercial recording media. Unlike the formats above, which operate on post-WW2 magnetic and optical technology, these systems carved sound waves into stone (or, more accurately, wax) behind strictly acousto-mechanical principles. Thomas Edison is credited as inventing the first phonograph (“soundwriter”) on July 18, 1877. It consisted of tinfoil wrapped around a hand-cranked metal cylinder. 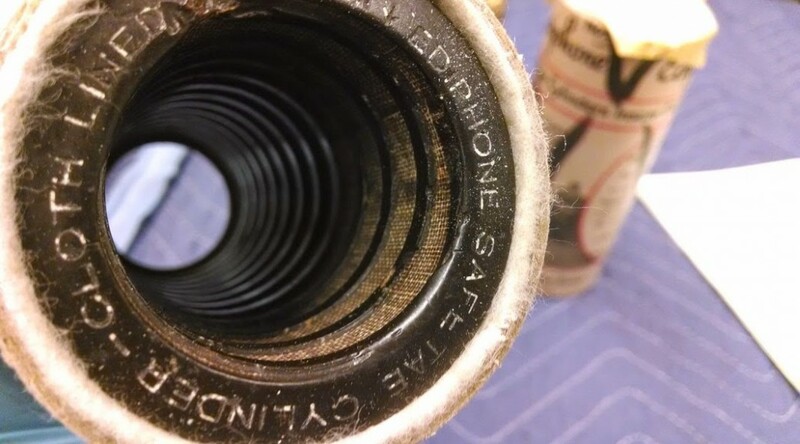 Sound waves would be funneled through a horn, causing a stylus to vibrate and indent a groove around the outside of the cylinder. The cylinder could be played by reversing the procedure: By retracing the groove with the stylus, the sound would be amplified back through the horn and heard as a rough approximation of the original sound. Alexander Graham Bell quickly improved the innovation by introducing wax as a superior material for the cylinders and using a needle to scratch the sound waves into their surface. He called his device the “Graphophone”. By 1888, Edison had also adopted wax as the preferred medium for recorded cylinders and a patent-sharing agreement was signed. In 1889, the wax cylinder because the first commercially marketed audio medium. Initially, the cylinders were installed in the ancestors of jukeboxes in public places. Drop a coin into the slot, and the machine would magically dispense a song, monologue, or comedy routine. The technology was soon adapted for home use. Consumers could purchase prerecorded cylinders to play on their machines. 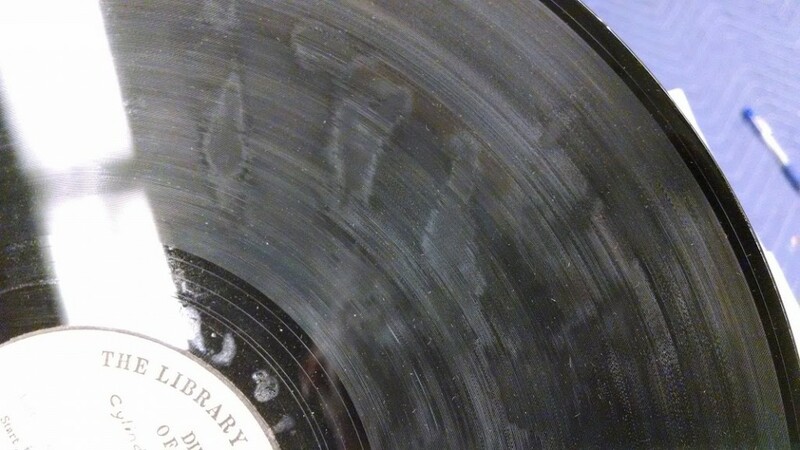 Perhaps more amazingly, they could buy a home recording attachment and cut their own content onto the wax. Frank Clyde Brown (1870-1943) served as a Professor of English at Trinity College, Duke University, from 1909 until his death. A native of Virginia, he received his Ph.D. at the University of Chicago in 1908. While at Duke University he served in many capacities, including being chairman of his department, University Marshal, and Comptroller of the University during its initial construction. These aspects of his life are chronicled in his papers held by the Duke University Archives. This collection of materials, however, is concerned with activities to which he devoted equal time and energy, the organization of the North Carolina Folklore Society in 1913 and his personal effort to gather and record the nuances and culture of “folk” of North Carolina and its near neighbors, which occupied him from 1912 until his death. 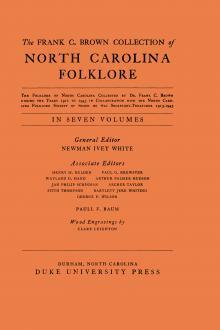 Under the impetus of a 1912 mailing from John A. Lomax, then President of the American Folklore Society, Brown as well as other faculty members and other citizens in North Carolina, became interested in folklore and organized the North Carolina Folklore Society in 1913, with Brown as secretary-treasurer. As secretary-treasurer of this organization from its inception until his death, he provided the organizational impetus behind the Society. Through his course in folklore at Duke, he also sent class after class out to gather the folklore of their locales, both during their studies and afterward. And virtually every summer he could be found in the most remote parts of the state, with notebook and recorder — first a dictaphone employing cylinders, and later a machine employing aluminum discs provided for his use by the University. The result, by 1943, was a collection of about 38,000 written notes on lore, 650 musical scores, 1400 songs vocally recorded, and numerous magazine articles, student theses, books, lists, and other items related to this study. 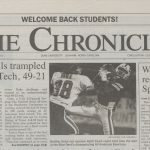 The material originated in at least 84 North Carolina counties, with about 5 percent original in 20 other states and Canada, and came from the efforts of 650 other contributors besides Brown himself. Thanks to our Audiovisual Archivist, Craig Breaden, for the excellent photos and unused title suggestion (“The Needle and the Damage Done”). 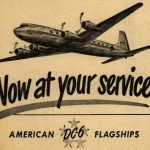 Future posts will include updates on work with the Frank C. Brown Collection, other audio collections at Duke, and the history of sound recording and reproduction. My last several posts have focused on endangered audio formats: open reel tape, compact cassette, and DAT. Each of these media types boasted some advantages over their predecessors, as well as disadvantages that ultimately led to them falling out of favor with most consumers. Whether entirely relegated to our growing tech graveyard or moving into niche and specialty markets, each of the above formats has seen its brightest days and now slowly fades into extinction. 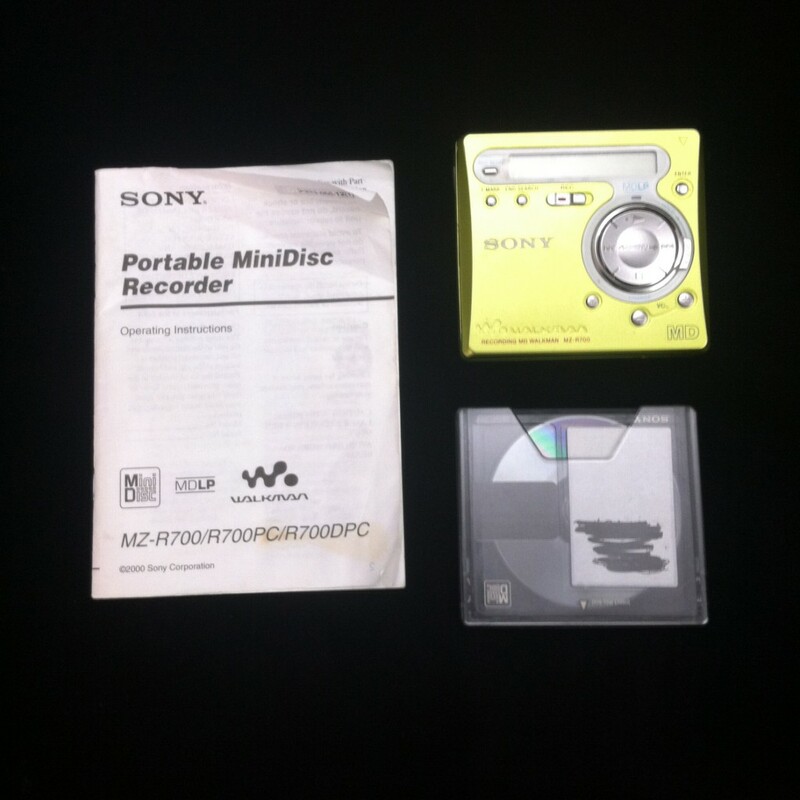 This week, we turn to the MiniDisc, a strange species that arose from Sony Electronics in 1992 and was already well on its way to being no more than a forgotten layer in the technological record by the time its production was discontinued in 2013. 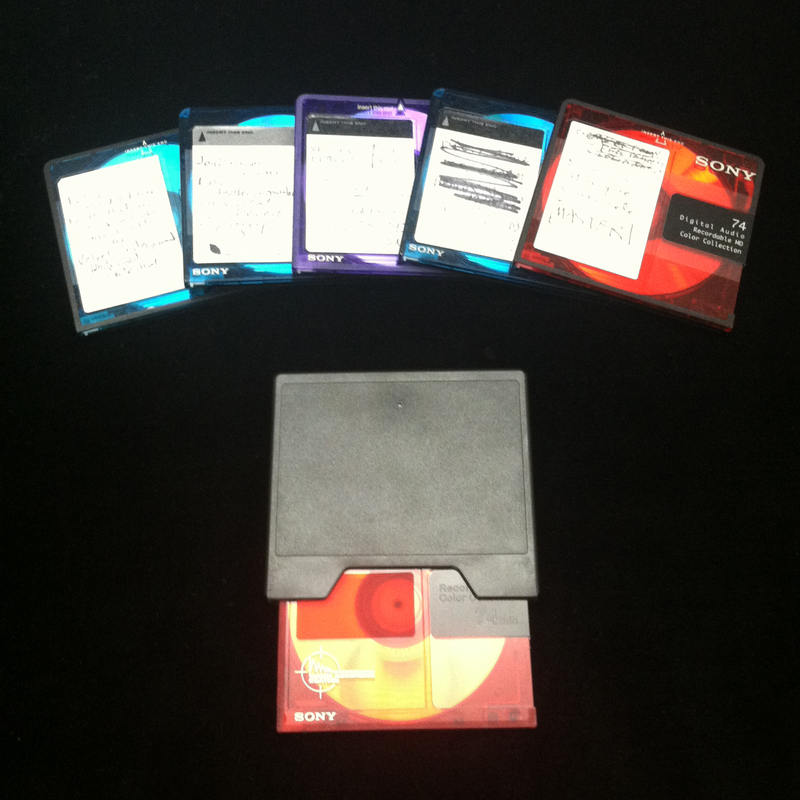 The MiniDisc was a magneto-optical disc-based system that offered 74 minutes of high-quality digital audio per disc (up to 320 minutes in long-play mode). It utilized a psychoacoustic lossy compression scheme (known as ATRAC) that allowed for significant data compression with little perceptible effect on audio fidelity. This meant you could record near perfect digital copies of CDs, tapes, or records—a revolutionary feat before the rise of writable CDs and hard disc recording. The minidisc platform was also popular in broadcasting and field recording. It was extremely light and portable, had excellent battery life, and possessed a number of sophisticated file editing and naming functions. Despite these advantages, the format never grabbed a strong foothold in the market for several reasons. The players were expensive, retailing at $750 on launch in December 1992. 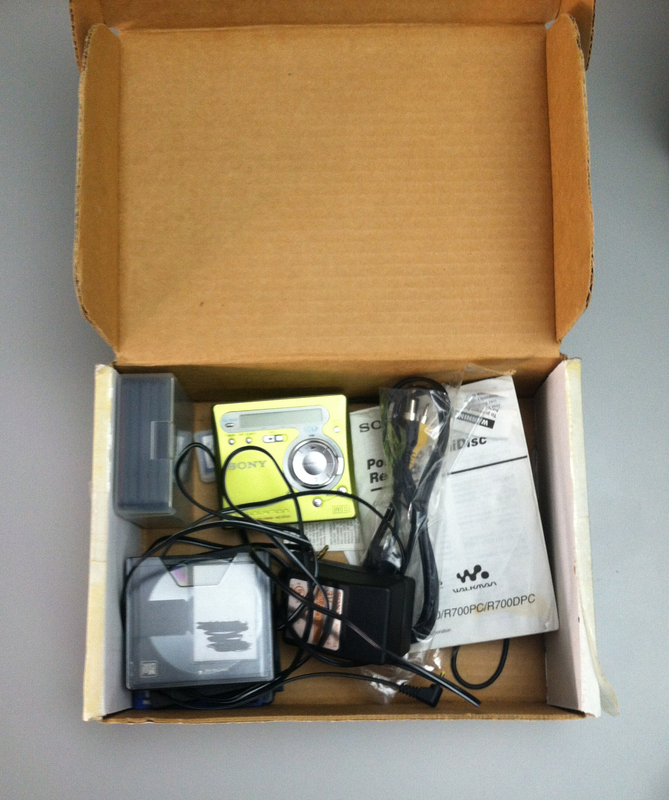 Even the smaller portable Minidisc “Walkman” never dropped into the low consumer price range. As a result, relatively few music albums were commercially released on the format. Once affordable CD-Rs and then mp3 players came onto the scene, the Minidisc was all but obsolete without ever truly breaking through to the mainstream. I recently unearthed a box containing my first and only Minidisc player, probably purchased used on eBay sometime in the early 2000’s. It filled several needs for me: a field recorder (for capturing ambient sound to be used in audio art and music), a playback device for environmental sounds and backing tracks in performance situations, and a “Walkman” that was smaller, held more music, and skipped less than my clunky portable CD player. While it was long ago superceded by other electronic tools in my kit, the gaudy metallic yellow still evokes nostalgia. I remember the house I lived in at the time, walks to town with headphones on, excursions into the woods to record birds and creeks and escape the omnipresent hum of traffic and the electrical grid. The handwritten labels on the discs provide clues to personal interests and obsessions of the time: “Circuit Bends,” “Recess – Musique Concrete Master,” “Field Recordings 2/28/04,” “PIL – Second Edition, Keith Hudson – Pick A Dub, Sonic Youth – Sister, Velvet Underground – White Light White Heat.” The sounds and voices of family, friends, and creative collaborators populate these discs as they inhabit the recesses of my memory. While some may look at old technology as supplanted and obsolete, I refrain from this kind of Darwinism. The current renaissance of the supposedly extinct vinyl LP has demonstrated that markets and tastes change, and that ancient audio formats can be resurrected and have vital second lives. Opto-magnetic ghosts still walk the earth, and I hear them calling. 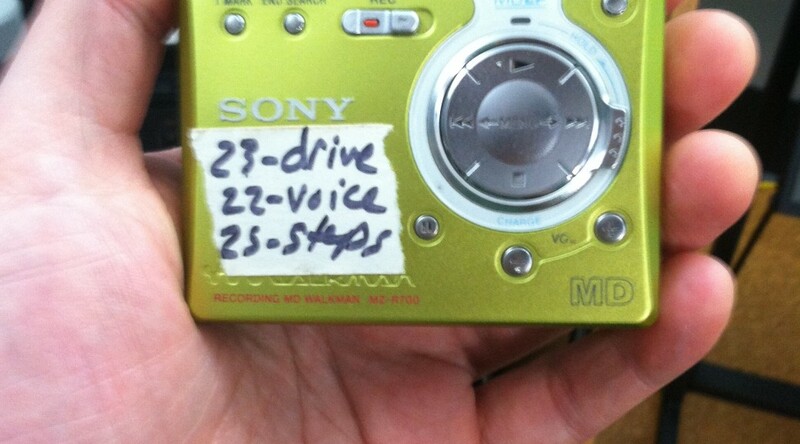 I’m keeping my Minidisc player. The Digital Production Center engages with various departments within the Libraries and across campus to preserve endangered media and create unique digital collections. We work especially closely with The Rubenstein Rare Book, Manuscript, & Special Collections Library, as they hold many of the materials that we digitize and archive on a daily basis. This collaboration requires a shared understanding of numerous media types and their special characteristics; awareness of potential conservation and preservation issues; and a working knowledge of digitization processes, logistics, and limitations. In order to facilitate this ongoing collaboration, we recently did a semester-long cross-training course with The Rubenstein’s Reproductions Manager, Megan O’Connell. Megan is one of our main points of contact for weekly patron requests, and we felt that this training would strengthen our ability to navigate tricky and time-sensitive digitization jobs heading into the future. The plan was for Megan to work with all three of our digitization specialists (audio, video, & still image) to get a combination of hands-on and observational learning opportunities. Bound manuscript – Most of these items cannot be opened more than 90 degrees. 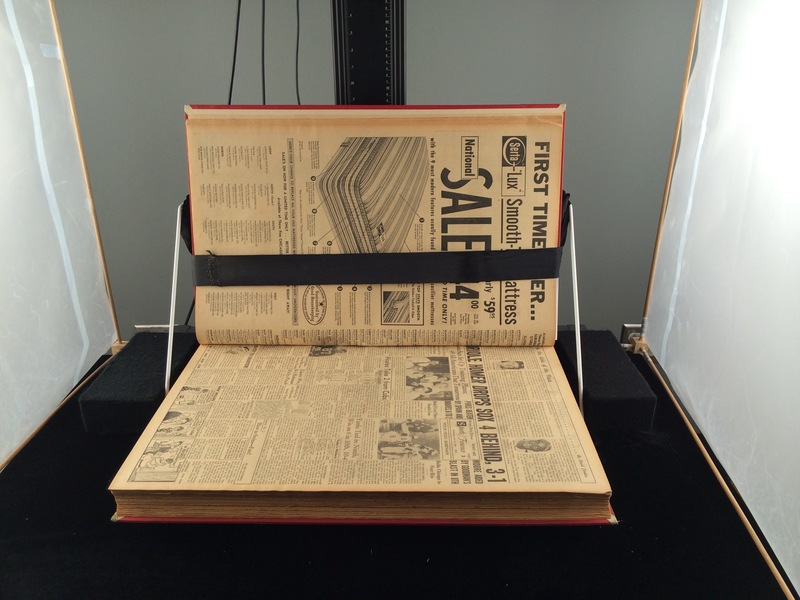 We stabilize them in a custom-built book cradle, capture the recto sides of the pages, then flip the book and capture the verso sides. The resulting files then have to be interleaved into the correct sequence. 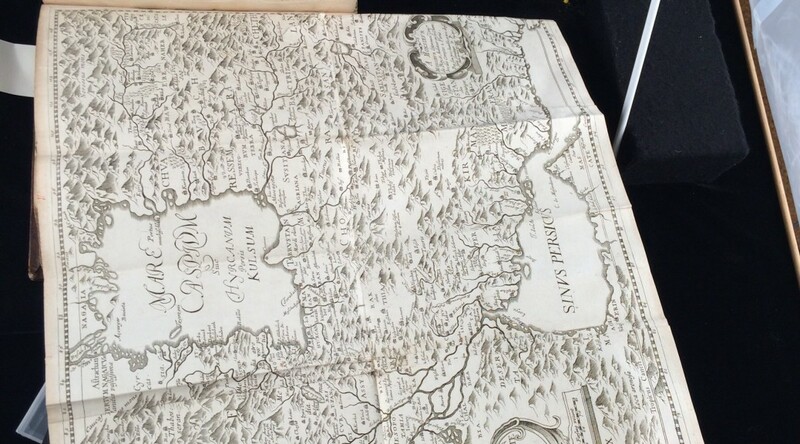 Map, or other oversize item – These types of materials are often too large to capture in one single camera shot. Our setup allows us to take multiple shots (with the help of the camera being mounted on a sliding track) which we then stitch together into a seamless whole. Item with texture or different item depths, e.g. 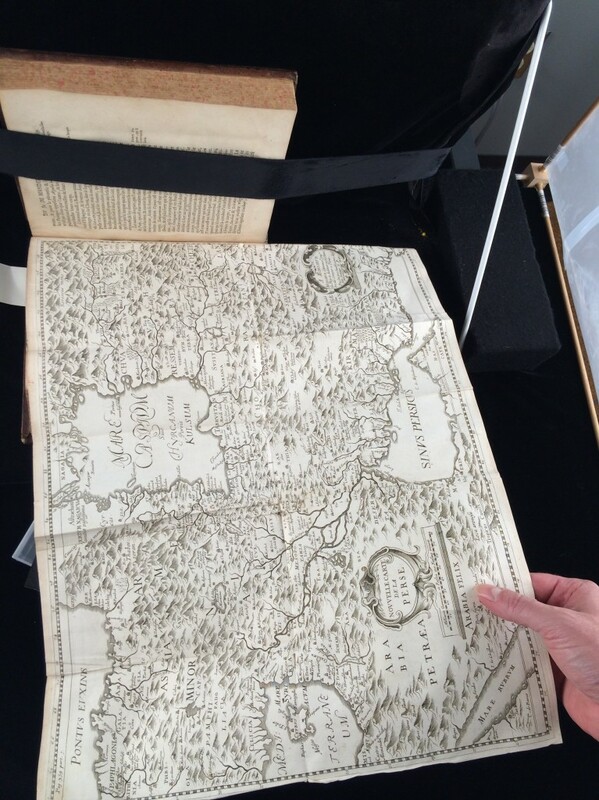 a folded map, tipped into a book – It is often challenging to properly support these items and level the map so that it is all in focus within the camera’s depth of field. ANR volume – These are large, heavy volumes that typically contain older newspapers and periodicals. The paper can be very fragile and they have to be handled and supported carefully so as not to damage or tear the material. Item with a tight binding w/ text that goes into the gutter – We do our best to capture all of the text, but it will sometimes appear to curve or disappear into the gutter in the resulting digital image. Working through this list with Megan, I was struck by the diversity of materials that we collect and digitize. 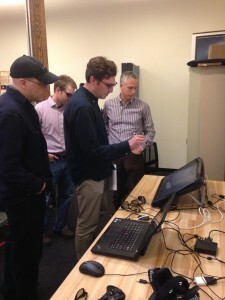 The training process also highlighted the variety of tricks, techniques, and hacks that we employ to get the best possible digital transfers, given the limitations of the available technology and the materials’ condition. 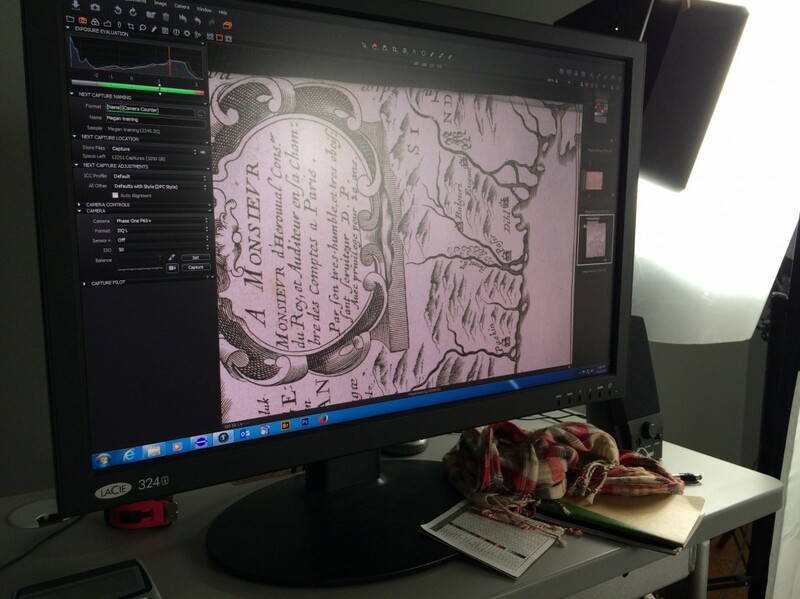 I came out of the experience with a renewed appreciation of the complexity of the digitization work we do in the DPC, the significance of the rare materials in the collection, and the excellent service that we are able to provide to researchers through the Rubenstein Library. 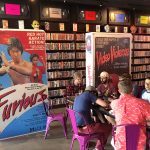 Check out Megan’s blog post on the Devil’s Tale for more on the other media formats I wasn’t able to cover in the scope of this post. Here’s to more collaboration across boundaries in the New Year! 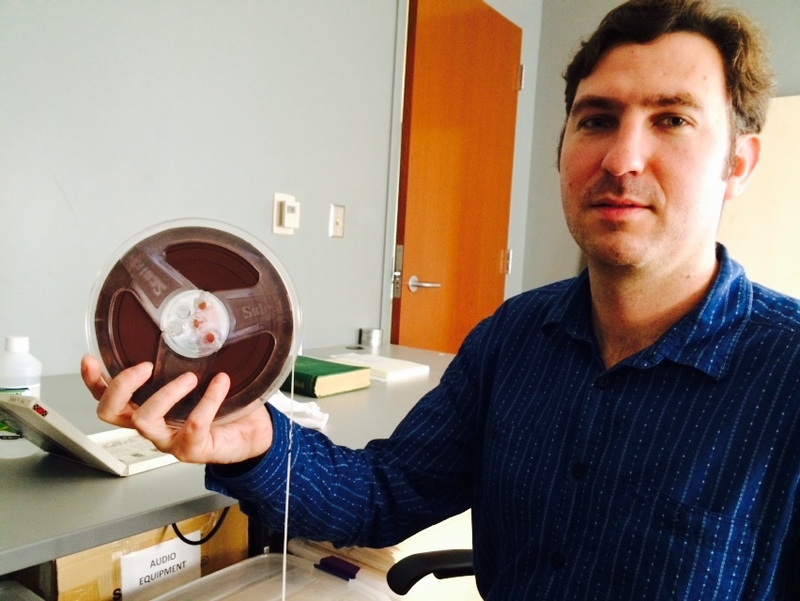 My recent posts have touched on endangered analog audio formats (open reel tape and compact cassette) and the challenges involved in digitizing and preserving them. 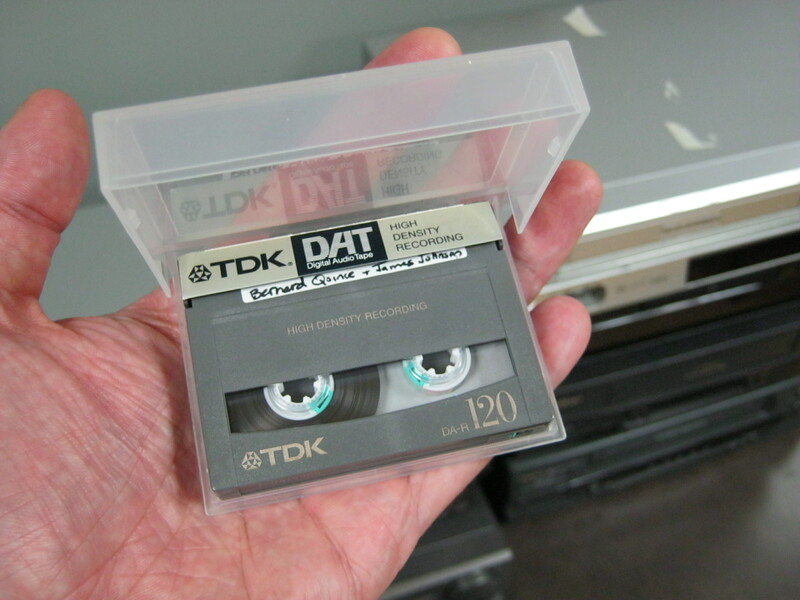 For this installment, we’ll enter the dawn of the digital and Internet age and take a look at the first widely available consumer digital audio format: the DAT (Digital Audio Tape). The DAT was developed by consumer electronics juggernaut Sony and introduced to the public in 1987. While similar in appearance to the familiar cassette and also utilizing magnetic tape, the DAT was slightly smaller and only recorded on one “side.” It boasted lossless digital encoding at 16 bits and variable sampling rates maxing out at 48 kHz–better than the 44.1 kHz offered by Compact Discs. During the window of time before affordable hard disk recording (roughly, the 1990s), the DAT ruled the world of digital audio. However, the format never caught on with the public at large, partially due to the cost of the players and the fact that few albums of commercial music were issued on DAT [bonus trivia question: what was the first popular music recording to be released on DAT? see below for answer]. In fact, the recording industry actively sought to suppress public availability of the format, believing that the ability to make perfect digital copies of CDs would lead to widespread piracy and bootlegging of their product. The Recording Industry Association of America (RIAA) lobbied against the DAT format and attempted to impose restrictions and copyright detection technology on the players. 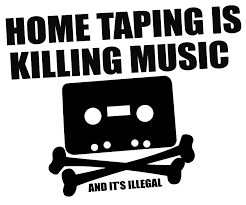 Once again (much like the earlier brouhaha over cassette tapes and subsequent battle over mp3’s and file sharing) “home taping” was supposedly killing music. By the turn of the millennium, CD burning technology had become fairly ubiquitous and hard disk recording was becoming more affordable and portable. The DAT format slowly faded into obscurity, and in 2005, Sony discontinued production of DAT players. In 2014, we are left with a decade’s worth of primary source audio tape (oral histories, interviews, concert and event recordings) that is quickly degrading and may soon be unsalvageable. The playback decks (and parts for them) are no longer produced and there are few technicians with the knowledge or will to repair and maintain them. The short-term answer to these problems is to begin stockpiling working DAT machines and doing the slow work of digitizing and archiving the tapes one by one. 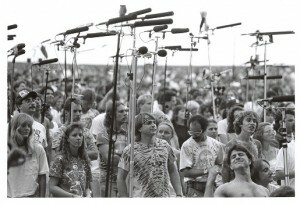 For example, the Libraries’ Jazz Loft Project Records collection consisted mainly of DAT tapes, and now exists as digital files accessible through the online finding aid: http://library.duke.edu/rubenstein/findingaids/jazzloftproject/. 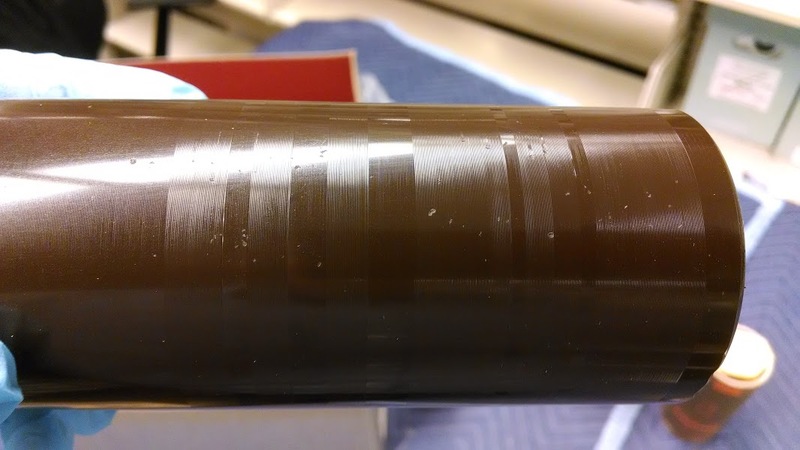 A long-term approach calls for a survey of library collections to identify the number and condition of DAT tapes, and then for prioritization of these items as it may be logistically impossible to digitize them all. And now, the answer to our trivia question: in May 1988, post-punk icons Wire released The Ideal Copy on DAT, making it the first popular music recording to be issued on the new format. 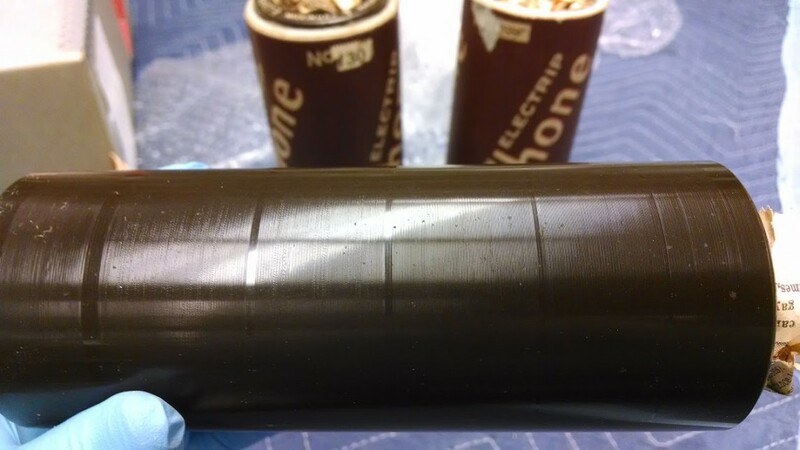 In this post, I will use a short audio clip from the collection to illustrate some of the issues that we face in working with this particular type of analog media. As you can hear, there are a number of confusing and disorienting things going on there. I’ll attempt to break these down into a series of discrete issues that we can diagnose and fix if necessary. 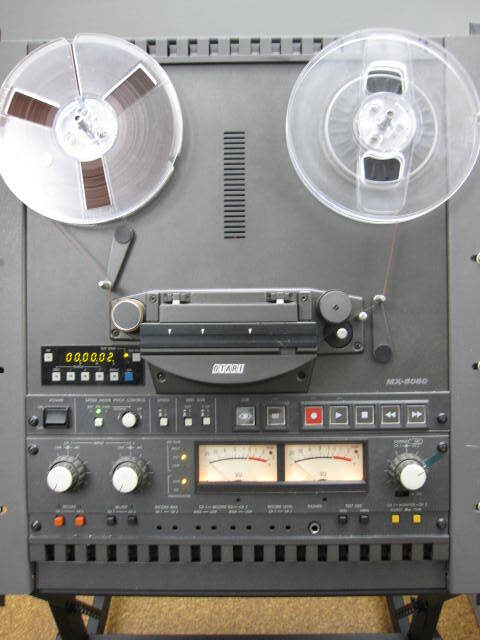 Analog tape machines typically offer more than one speed for recording, meaning that you can change the rate at which the reels turn and the tape moves across the record or playback head. The faster the speed, the higher the fidelity of the result. On the other hand, faster speeds use more tape (which is expensive). Tape speed is measured in “ips” (inches per second). The tapes we work with were usually recorded at speeds of 3.75 or 7.5 ips, and our playback deck is set up to handle either of these. We preview each tape before digitizing to determine what the proper setting is. In the audio example above, you can hear that the tape speed was changed at around 10 seconds into the recording. This accounts for the “spawn of Satan” voice you hear at the beginning. Shifting the speed in the opposite direction would have resulted in a “chipmunk voice” effect. This issue is usually easy to detect by ear. The solution in this case would be to digitize the first 10 seconds at the faster speed (7.5 ips), and then switch back to the slower playback speed (3.75 ips) for the remainder of the tape. The tapes we work with come from many sources and locations and were recorded on a variety of equipment by people with varying levels of technical knowledge. As a result, the audio can be all over the place in terms of fidelity and volume. In the audio example above, the volume jumps dramatically when the drums come in at around 00:10. Then you hear that the person making the recording gradually brings the level down before raising it again slightly. There are similar fluctuations in volume level throughout the audio clip. Because we are digitizing for archival preservation, we don’t attempt to make any changes to smooth out the sometimes jarring volume discrepancies across the course of a tape. We simply find the loudest part of the content, and use that to set our levels for capture. The goal is to get as much signal as possible to our audio interface (which converts the analog signal to digital information that can be read by software) without overloading it. This requires previewing the tape, monitoring the input volume in our audio software, and adjusting accordingly. This recording happens to be fairly clean in terms of background noise, which is often not the case. Many of the oral histories that we work with were recorded in noisy public spaces or in homes with appliances running, people talking in the background, or the subject not in close enough proximity to the microphone. As a result, the content can be obscured by noise. Unfortunately there is little that can be done about this since the problem is in the recording itself, not the playback. 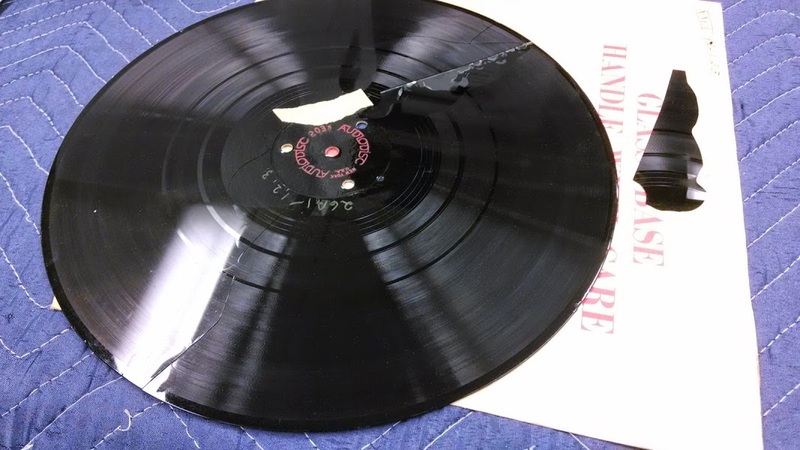 There are a number of hum, hiss, and noise removal tools for digital audio on the market, but we typically don’t use these on our archival files. As mentioned above, we try to capture the source material as faithfully as possible, warts and all. After each transfer, we clean the tape heads and all other surfaces that the tape touches with a Q-tip and denatured alcohol. This ensures that we’re not introducing additional noise or signal loss on our end. 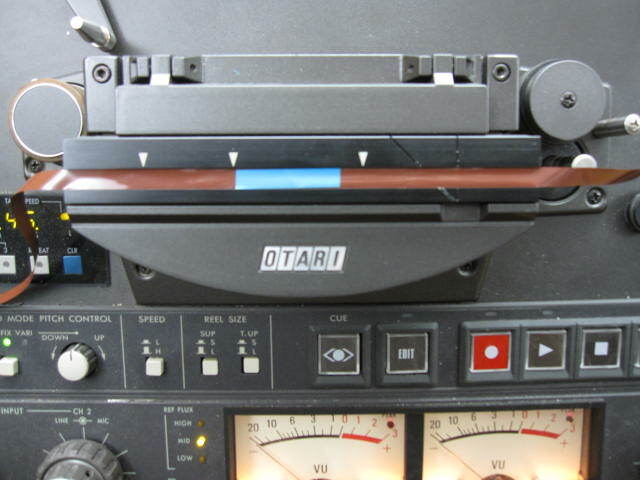 While cleaning the Radio Haiti tapes (as detailed in the video above), we discovered that many of the tapes were comprised of multiple sections of tape spliced together. 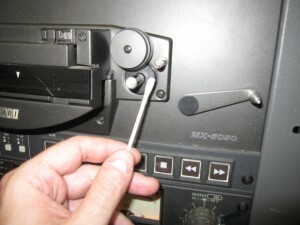 A splice is simply a place where two different pieces of audio tape are connected by a piece of sticky tape (much like the familiar Scotch tape that you find in any office). This may be done to edit together various content into a seamless whole, or to repair damaged tape. Unfortunately, the sticky tape used for splicing dries out over time, becomes brittle, and loses it’s adhesive qualities. In the course of cleaning and digitizing the Radio Haiti tapes, many of these splices came undone and had to be repaired before our transfers could be completed. Our playback deck includes a handy splicing block that holds the tape in the correct position for this delicate operation. 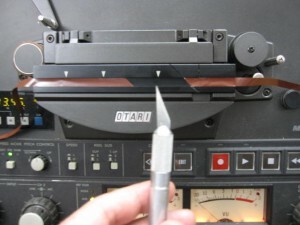 First I use a razor blade to clean up any rough edges on both ends of the tape and cut it to the proper 45 degree angle. The splicing block includes a groove that helps to make a clean and accurate cut. Then I move the two pieces of tape end to end, so that they are just touching but not overlapping. Finally I apply the sticky splicing tape (the blue piece in the photo below) and gently press on it to make sure it is evenly and fully attached to the audio tape. Now the reel is once again ready for playback and digitization. In the “Tambour Vaudou” audio clip above, you may notice three separate sections of content: the voice at the beginning, the drums in the middle, and the singing at the end. These were three pieces of tape that were spliced together on the original reel and that we repaired right here in the library’s Digital Production Center. A finished splice. 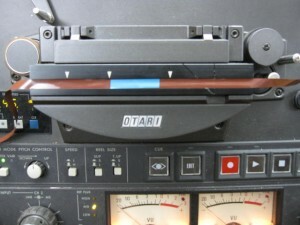 Note that the splice is made on the shiny back of the tape, not on the matte side that audio is recorded on. These are just a few of many issues that can arise in the course of digitizing a collection of analog open reel audio tapes. Fortunately, we can solve or mitigate most of these problems, get a clean transfer, and generate a high-quality archival digital file. Until next time…keep your heads clean, your splices intact, and your reels spinning! Can You (Virtually) Dig It? A group from Duke Libraries recently visited Dr. Maurizio Forte’s Digital Archaeology Initiative (a.k.a. 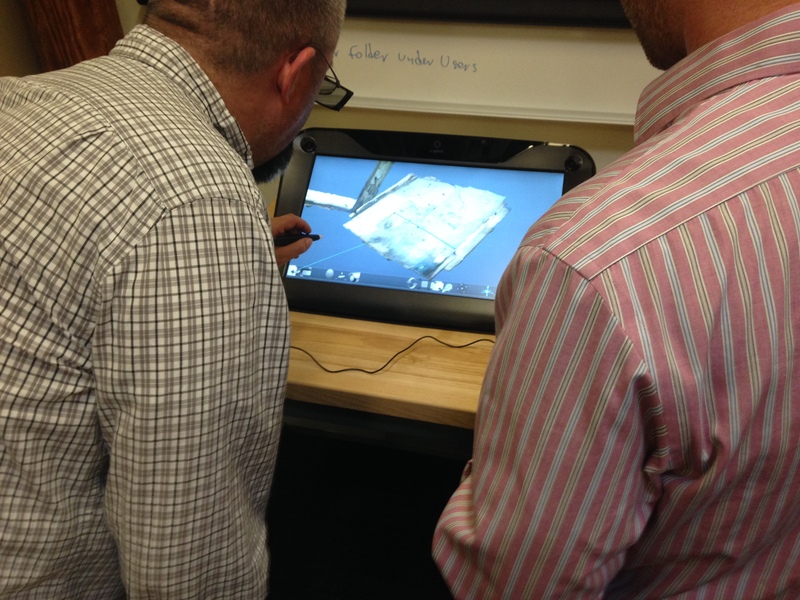 “Dig@Lab”) to learn more about digital imaging of three-dimensional objects and to explore opportunities for collaboration between the lab and the library. These glasses and stylus allow you to disassemble the layers of a virtual site and rearrange and resize each part. Dr. Forte (a Professor of Classical Studies, Art, and Visual Studies) and his colleagues were kind enough to demonstrate how they are using 3D imaging technology to “dig for information” in simulated archaeological sites and objects. 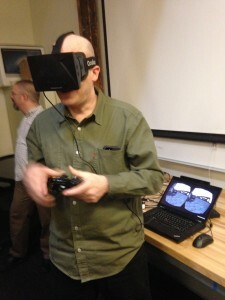 Their lab is a fascinating blend of cutting-edge software and display interfaces, such as the Unity 3D software being used in the photo above, and consumer video gaming equipment (recognize that joystick?). 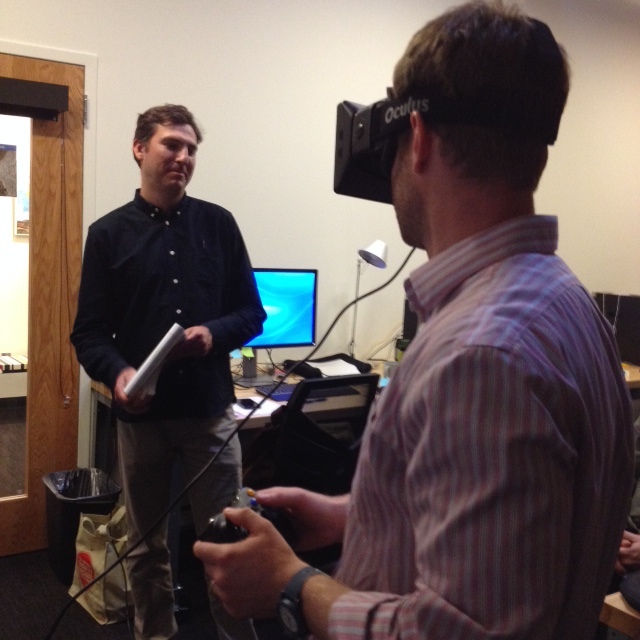 Zeke tries not to laugh as Noah dons the virtual reality goggles. Using the goggles and joystick above, we took turns exploring the streets and buildings of the ancient city of Regium Lepedi in Northern Italy. The experience was extremely immersive and somewhat disorienting, from getting lost in narrow alleys to climbing winding staircases for an overhead view of the entire landscape. The feeling of vertigo from the roof was visceral. None of us took the challenge to jump off of the roof, which apparently you can do (and which is also very scary according to the lab researchers). After taking the goggles off, I felt a heaviness and solidity return to my body as I readjusted to the “real world” around me, similar to the sensation of gravity after stepping off a trampoline. The Libraries and Digital Projects team look forward to working more with Dr. Forte and bringing 3D imaging into our digital collections. 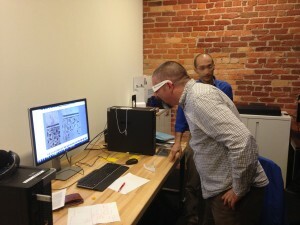 Mike views a mathematically modeled 3D rendering of a tile mosaic.